‘Liberal Delusion’ wrote this comment ‘below the line’ in an earlier thread. We thought it worth reproducing. The BDS movement places the boycott in the context of SA (and so have to inflate Israeli human rights contraventions as ‘apartheid’). However, the vast majority of Jews place the idea of a boycott against Jews in a very different history; a history in which Jews have been singled out for allegedly unique crimes and unique wrongs despite the fact that they were no worse than many, if not all others and/or were total fabrications, and, as a consequence of these claims suffered ‘boycott’ – see e.g. the 1904 Limerick boycott where Jews were accused of price manipulation. 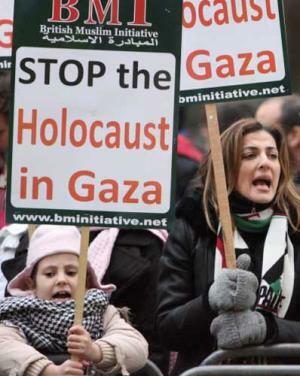 The problem is that when Jews raise these concerns, especially through the question – why Israel? – no sensible answer is given – the ASA’s comment, that ‘we have to start somewhere’ begs the question. (Despite the above response, the BDS movement is not supported by the PA or Hamas, and was, far from emanating from Palestine, devised by two members of the SWP here in London – and even if it did emanate from Palestinian civil society, that does not involve an immediate and unmediated response – what is right in Palestine, may not appear so right in a different context, and for very good reasons). Rather than recognising this history and this sensitivity in its critical dealings with Israel, many BDSers simply claim that Jews are abusing this history of antisemitism (and anti-Jewish boycotts), of using ‘real’ antisemitism (and the Shoah) as a magic talisman to ward off ‘criticism’ (which is conflated by the BDS movement with exclusion) and of acting in bad faith. In so doing, the BDS movement show that along with their support for Palestinians is an attempt to antagonise and confront non-Israeli Jews who, for those who disagree with their boycotting (what Claire Potter confused with scrutiny) are transformed into ‘supporters of Israel’ and for whom no quarter must be given. If those in the US and Europe were serious about antisemitism and its history as well as being serious about Palestinian solidarity, they would actually realise what boycotts mean to Jews (and progressive forces in general). They would need to think of a new strategy, one that is not hostile to Jews, but which at the same time allows them (and many Jews) to move forward to achieving a just and equitable peace in the Middle East; a move forward that does not rely, replicate and bring into the present the antisemtism of the (not so distant) past. This piece by Howard Jacboson is from cnn. It should not need arguing, this late in the ethical history of mankind, that good people can do great harm. One of the finest and funniest novels ever written — Don Quixote — charts the damage left in the wake of a man who would make the world a better place. Human beings are seldom more dangerous than when they are sentimentally overcome by the goodness of their own intentions. 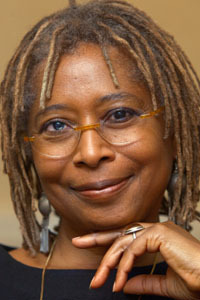 That Alice Walker believes it is right to join the Freedom Flotilla II to Gaza I do not have the slightest doubt. But beyond associating her decision with Gandhi, Martin Luther King and very nearly, when she talks about the preciousness of children, Jesus Christ, she fails to give a single convincing reason for it. “One child must never be set above another child,” she says. A sentiment that will find an echo in every heart. But how does it justify the flotilla? Gaza is under siege, Israelis will tell you, because weapons are fired from it into Israel, threatening the lives of Israeli children. If the blockade is lifted there is a fear that more lethal and far-reaching weapons will be acquired, and the lives of more Israeli children endangered. You may want to argue that had Gaza been treated differently it would have responded differently, but if the aim of the flotilla is to ensure that one child will not be set above another it is hard to see how challenging the blockade will achieve it. All an Israeli parent will see is a highly charged emotionalism disguising an action that, by its very partiality, chooses the Palestinian child over the Israeli. Alice Walker makes plain, “its cargo will be carrying.” But what will these letters of solidarity be expressing solidarity with? Solidarity is a political term implying commonality of interest or aspiration. So what interest or aspiration do Alice Walker and her fellow travelers share with the people of Gaza? A desire for freedom? Well we all aspire to that. A longing to live in peace? If they have such a longing we must be solid with them in that too, though the firing of rockets from Gaza is not, on the face of it, an expression of such a longing. And what about the declared hostility of Hamas to the very existence of Israel? Hamas, we are often told, is the elected government of Gaza, a government that fairly represents the wishes of its people. In which case we must assume that Hamas’s implacable hostility towards Israel fairly represents the implacable hostility felt by the people of Gaza. Are Alice Walker’s letters of love and ‘solidarity’ solid with the people of Gaza in that hostility? “If the Israeli military attacks us, it will be as if they attacked the mailman,” she says. Wrong on a thousand counts. As a writer, Alice Walker must understand the symbolic significance of words. The cargo is a cargo of intention. It is freighted with political sympathy and attitude. It means to blunder into where it isn’t safe, clothed in the make-believe garments of the unworldly, speaking of children and speaking like children, half inviting a violence which can then be presented as a slaughter of the innocents. Even before the deed, Alice Walker has her language of outraged moral purity prepared — “but if they insist on attacking us, wounding us, even murdering us…” The Israeli response is thus already an act of unprovoked murder, no matter that the flotilla is by its very essence a provocation. Whatever its cargo, by luring the Israeli military into action which can be represented as brutal, the flotilla is engaged in an entirely political act. To call it by any other name is the grossest hypocrisy. Alice Walker might be feeling good about herself, but by giving the Palestinians the same old false comfort we’ve been doling out for more than half a century, and by allowing the Israelis to dismiss it as yet another act of misguided and uncomprehending adventurism — further evidence that its fears go unheeded – her political gesture only worsens the situation. The parties to this conflict need to be brought together not divided: but those who speak disingenuously of love will engender only further hatred. 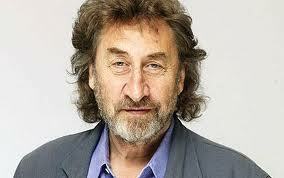 Lots more from Howard Jacobson here. There has been plenty of condemnation of the abominable murders of Udi, Ruth, Yoav, Elad, and Hadas Fogel in the settlement of Itamar last night. But the condemnation has been dominated by ugly opportunism from Israel’s pro-settlement right, and has been used as a pretext for menacing Palestinians and urging more settlement activity in defiance. In 972 mag Dmitry Reider does the necessary, which is liable to earn him more opprobrium than approval from some of his comrades. “To those among us citing the illegality and illegitimacy of the settler enterprise: The community of Itamar is in and of itself a violation of international law. It was established to deepen Israeli hold on an the occupied territory; and over the years, the settlers of Itamar became almost equally well known for their violent attacks on Palestinian farmers as for the attacks that they themselves sustained – the community of 1,000 lost 15 of its members to attacks like last night’s over the past ten years. Needless to say, the occupation of the West Bank, the establishment of the settlement, and the individual settlers attack against their Palestinian neighbors are all illegal under international law; the latter are not only particularly brutish and wrong, but are also illegal under Israeli law. They have since been joined by Solidarity Sheikh Jarrah, New Family, the Bilin Popular Committee Against the Wall, J-Street, Peace Now, Human Rights Watch and Rabbis for Human Rights.